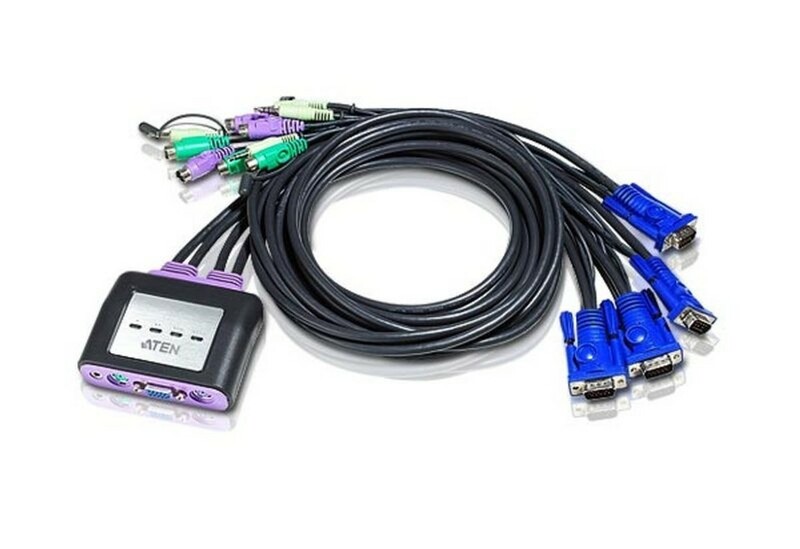 The ATEN CS64A KVM Cable Switch is a handy compact designed device that has been integrated with 6' of cables and offers built-in PS/2. 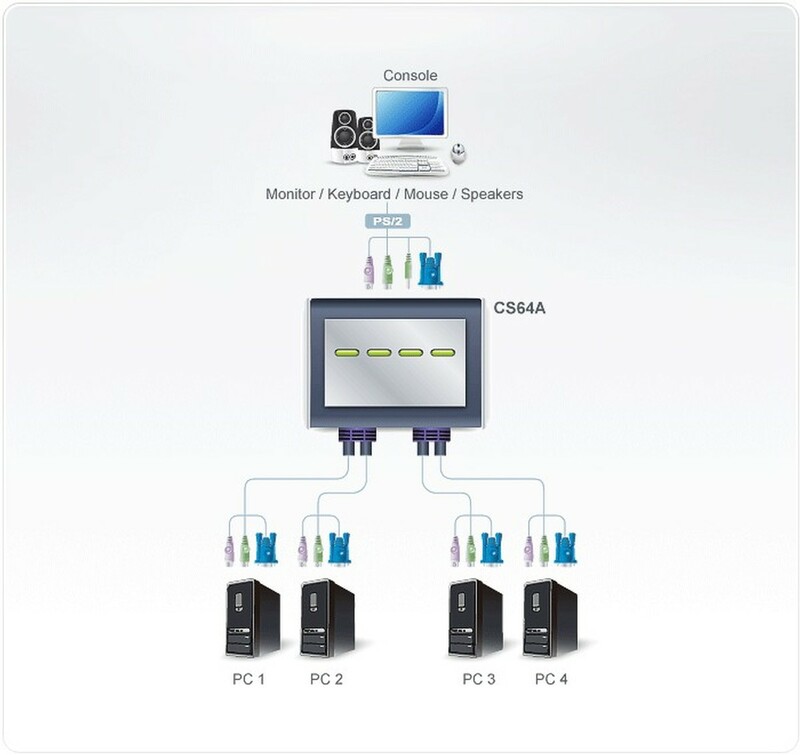 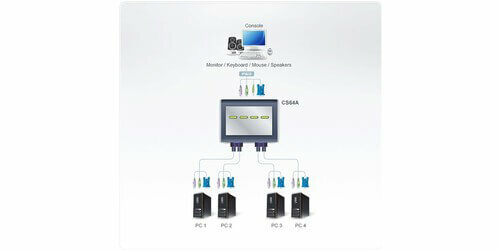 It has the ability to control 4 servers via a single console. 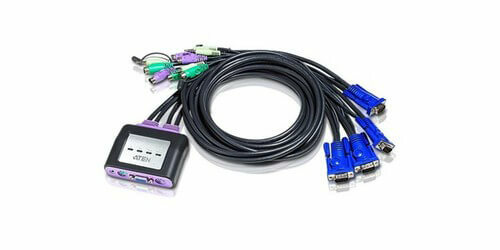 Being a all in one design this cable switch features speaker support, superior video quality up to 2048 x 1536, DDC2B, an Auto Scan funtion to monitor computer operations, is non-powered, and provides multi-platform support for Windows and Linux.